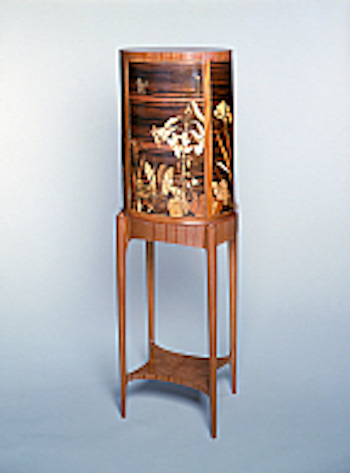 This floral cabinet was purchased by the Milwaukee Art Museum in 2002. I had been invited to be part of an exhibit of three American marquetry furniture makers from three different centuries. The earliest maker was Nathan Lombard, an 18th century cabinetmaker from Massachusetts. The other was Peter Glass, who had emigrated from Germany in the 19th century.